This gravy boat would be a very nice piece of ironstone to own. 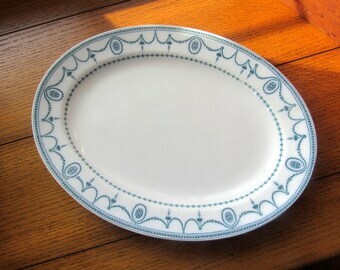 Its classic design and white color would mix and match beautifully with so many of the old china patterns. I am not positive what company made this gravy pitcher because of the smudged stamp on the bottom. 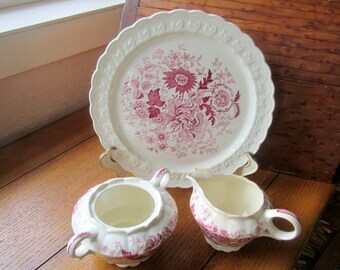 I think it is a Johnson Bros gravy boat but there are a couple of other China companies that used the crown stamp. From the table to the top of the handle, this gravy boat measures 5 inches. To the lowest point, it is 3 and 1/2 inches. At the spout, it is nearly 4 inches. The base is 3 by 2 and 1/4 inches. It will hold approx. 1 and 1/2 to 2 cups of gravy or sauce. There are three tiny glaze chips. I have shown the largest one. You have to look hard to see them. 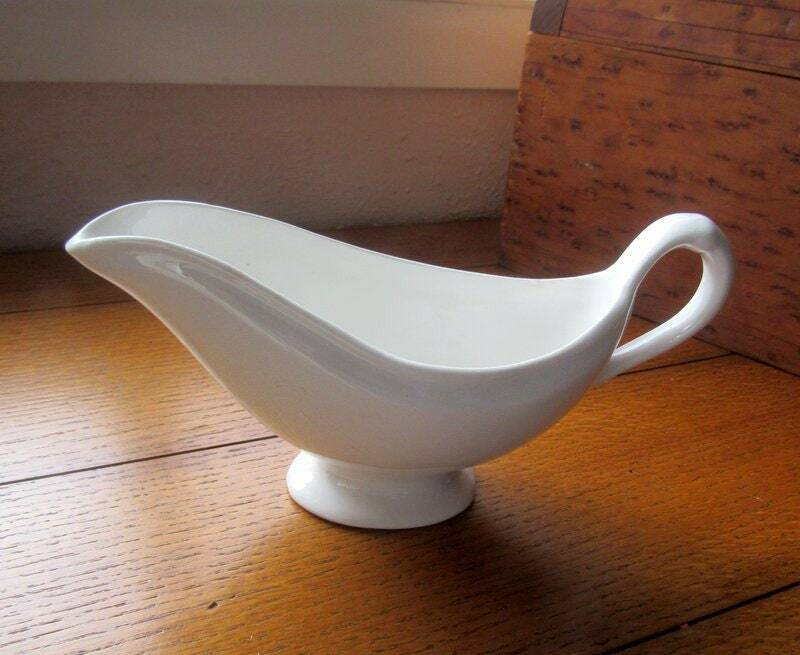 A nice vintage white stoneware gravy or sauce boat for your farmhouse collection.